Join us on Saturday, April 13! THIS Saturday – join us for our first day of Open Boating! Rentals start at 11:00, rain or shine! Refresh your knowledge of our rental program – find information on hours, rates, our fleets, and skills tests. Want to get started early and help us get ready? Our Volunteer Work Party is also this Saturday – join us from 9:00 am to 3:00 pm to help us prepare for the boating season ahead. New to volunteering? Sign up to volunteer through our volunteer website. Work at Sail Sand Point! We are currently hiring for several seasonal positions. 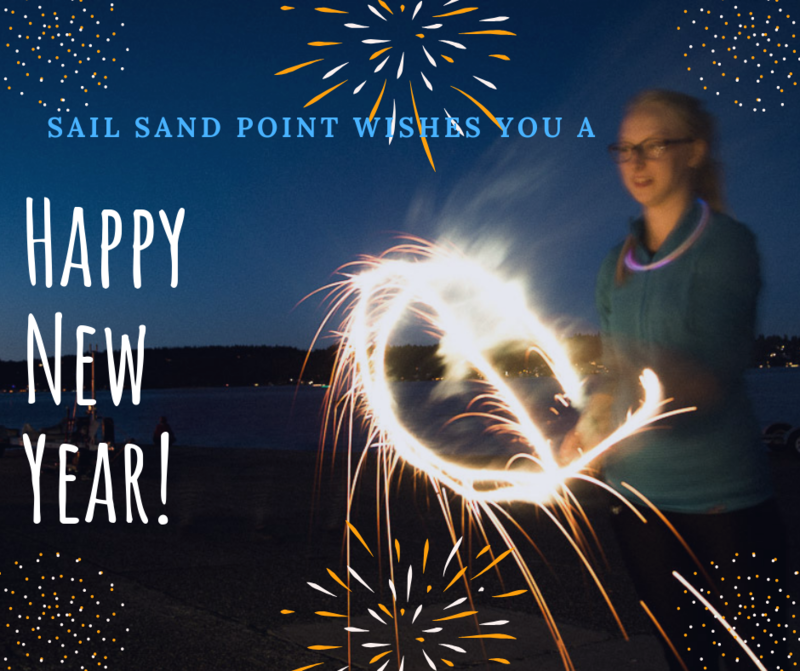 Sail Sand Point is looking for an Outreach Coordinator, Dockmasters, and a Office Assistant to help during the 2019 season. Visit the employment opportunities page for more information and job descriptions. 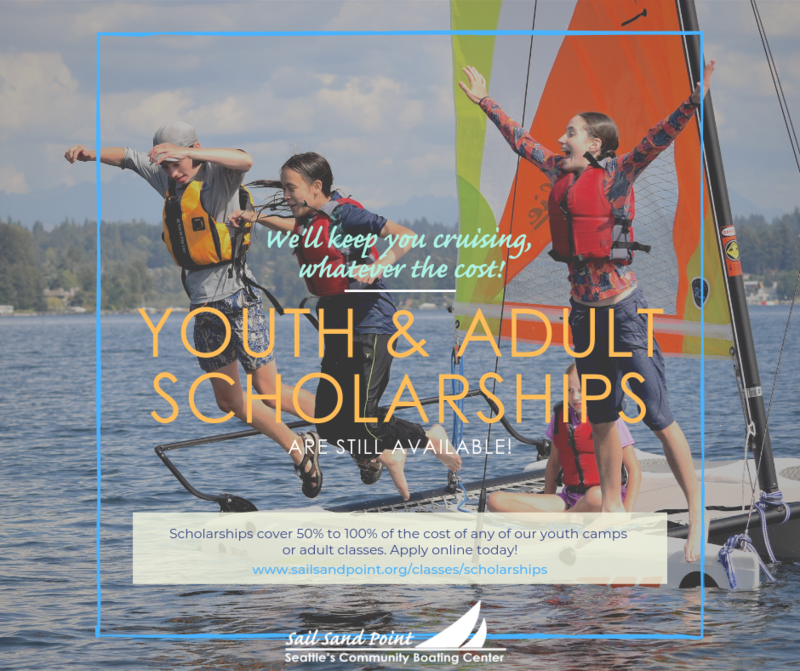 As Sail Sand Point strives to make sailing and paddling accessible for all, we are proud to offer scholarships for all of our Youth Camps & Adult Classes! Click here to apply for your scholarship today! Register for youth camps and adult classes at this link here. Registration is now open for youth camps and adult classes! 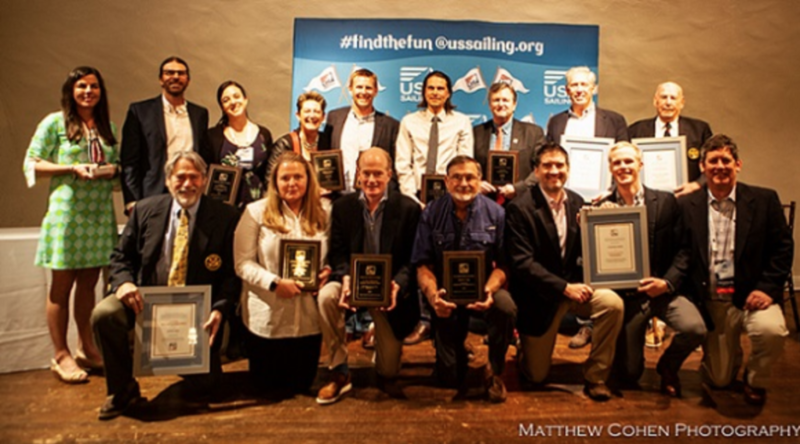 Nino Johnson has made formative contributions to the Sail Sand Point’s (Seattle, Wash.) youth community by creating pathways for students that guide them from beginner sailor to well-rounded young adults. Many of these students return year after year as summer campers, as volunteers and sometimes as instructors. 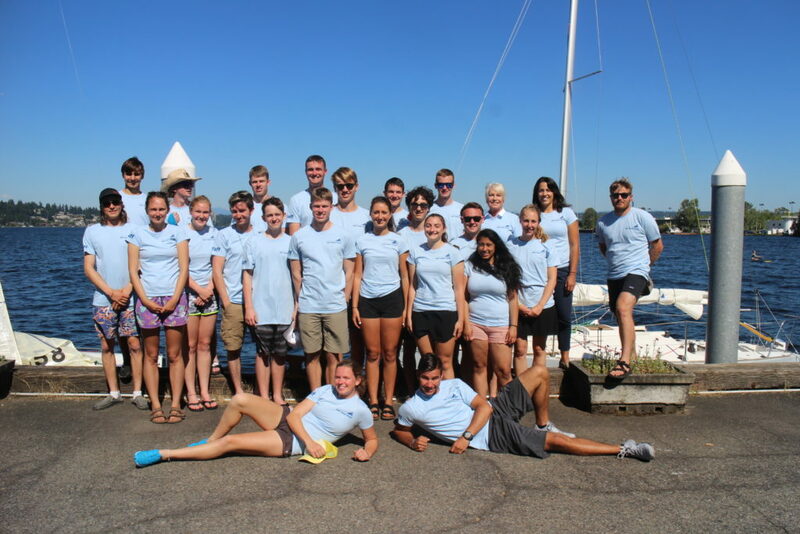 He has proven himself capable, talented and passionate, and his dedication extends not only to learn-to-sail programs but also high school, middle school and college race teams. Those who know Nino well understand that he works incredibly hard, often staying in the office late to ensure that the high school sailors are ready for their next regatta or that the facility is prepared to host regattas with hundreds of participants. He is passionate about inclusivity, taking extra care to empower his minority students and young women. His care and diplomacy have inspired a high-school sailing program with an extremely high percentage of women sailors. Under Johnson’s purview, Sail Sand Point’s outreach program provides access to sailing for underprivileged populations who might not otherwise have the opportunity. 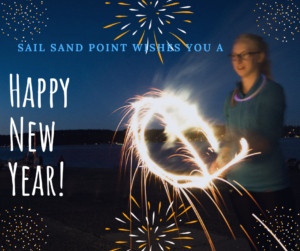 Since 2014, Sail Sand Point’s outreach program has grown by over 400 participants. 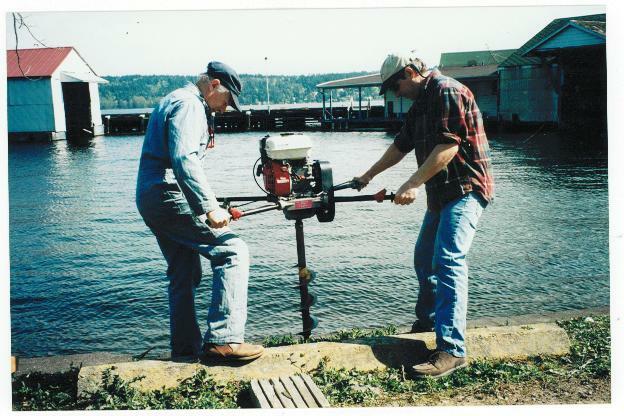 His leadership and mentorship have taken many forms during his tenure at Sail Sand Point. Through his hard work and dedication, he has inspired those around him, maintaining the highest standards of integrity and providing support while providing wisdom and guidance along the way. 2019 Program Books are Here! Get ready! Registration opens February 1st at noon. 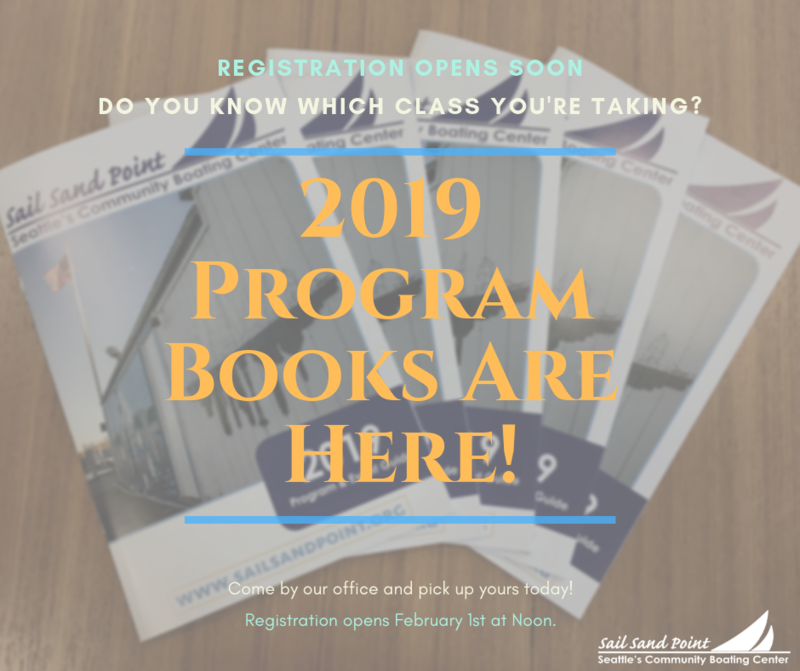 Our complete 2019 Program & Event Guide is now available in our office and on our website so you can find the perfect camp or class for you this sailing season! 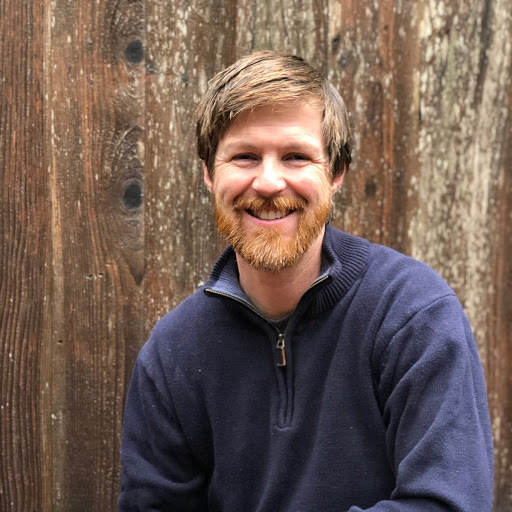 January 9, 2019—Seattle, WA—Sail Sand Point, Seattle’s Community Boating Center, is proud to announce that Seth Muir will be stepping in as Executive Director February 1, 2019. 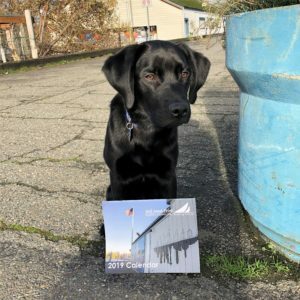 Muir comes to Sail Sand Point from Salish Sea Expeditions, a non-profit sailing and marine science organization based in Puget Sound, where he served as Executive Director from 2012-2019. In his time with Salish Sea Expeditions, Muir expanded program offerings to increase participation and solidified significant funding relationships with area foundations and federal and state agencies (including securing one of the first organizational No Child Left Inside grants from WA State Department of Recreation and Conservation). Muir joins Sail Sand Point as they prepare for a major capital campaign to expand classroom space and improve facilities. As Executive Director, Muir will lead the organization through new strategic partnerships with local government, businesses, and philanthropic individuals who share the organization’s vision for accessible recreation on the lake. Sail Sand Point is a 501(c)3 non-profit located on the North Shore of Magnuson Park with the mission of bringing the joy and life-enhancing benefits of sailing and small boats to people of all ages, abilities, and backgrounds. Sail Sand Point achieves its mission through a wide range of youth camps, adult classes, adaptive watersports clinics, a robust community outreach program, and a fully integrated scholarship program. 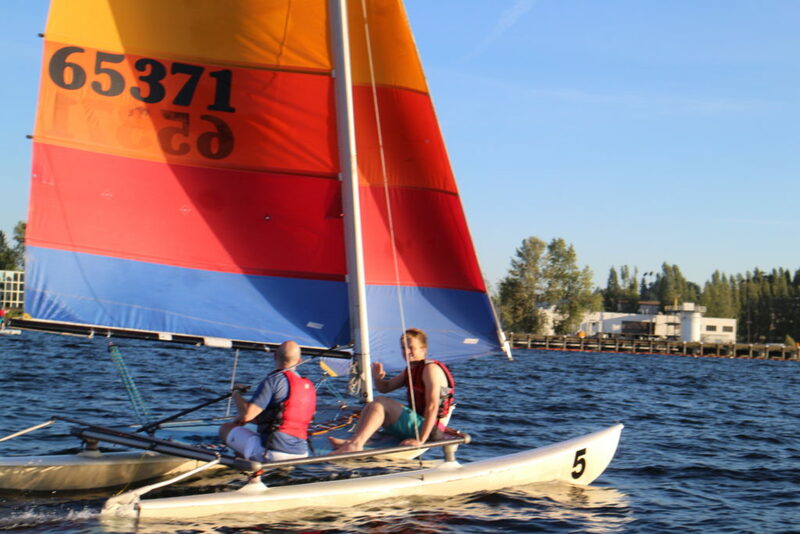 With 1,051 outreach participants, 458 hours of adaptive sailing, and $38,405 awarded in scholarships last year, Sail Sand Point continues its strides in making sailing and paddling accessible for all. Need a gift idea for the sailor or paddler in the family? 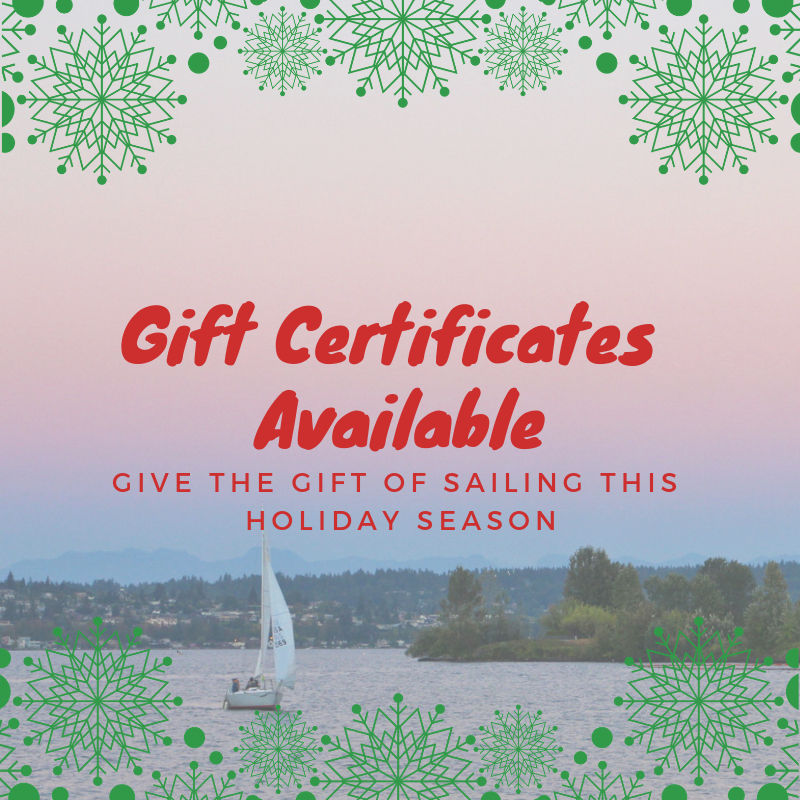 It’s not too late to give them a certificate to one of our classes, or for open boating hours. Certificates are available on our Gift Certificate page. 2019 Calendars are here – stop by the office between 10:00 am and 4:00 pm during the week to grab your FREE copies. You might even get to meet Westley, featured in November!